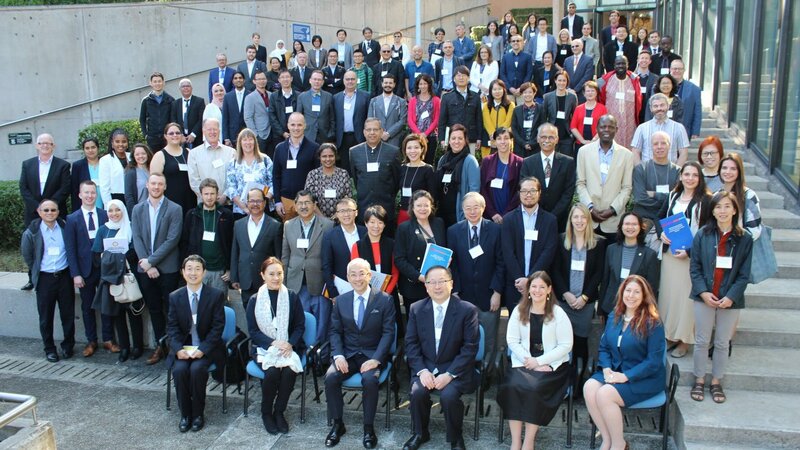 The First Global Forum on Heat and Health was held in Hong Kong Dec 17-20, 2018 to inform a global common action agenda for comprehensive heat risk management and formally launch the Global Heat Health Information Network. Following the consultations held in the USA (2015) and Sri Lanka (2016), this international forum brought together over 120 interdisciplinary experts and practitioners from 33 countries to strengthen cooperation in interdisciplinary science and practice to build the capacity of governments, organizations, and professionals to protect populations from the avoidable health risks of extreme and ambient heat. David Tan, postdoctoral Fellow of UNU-IIGH, displayed a poster at the forum, presenting work from IIGH on projected air-conditioning (AC) use in tropical Malaysia, driven by population growth, rising incomes, and climate change. These trends that drive AC use are also prevalent in many other developing countries in the tropics. The work explored how adoption of climate sensitive buildings might mitigate rising use of AC, and the conditions under which consumer financial incentives to promote the uptake of climate sensitive buildings are likely to be successful. During discussions on risk and health outcomes, David raised the need for health guidance on the use of AC versus alternative cooling methods during heat events, and the importance of including migrant workers in heat health vulnerability assessment, planning, and response.